When there are so many questionable claims about eco-friendly advertising, our recycled flyers are probably one of the best choices you can make. To start with, you’re using a 100% recycled stock. Secondly, you’re using a waterless offset printing method, which is environmentally sustainable. 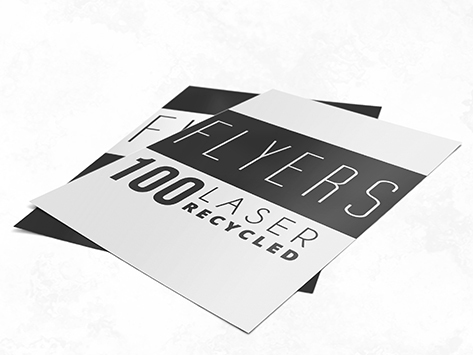 Finally, you can save the environment and money in production and transportation costs by choosing our flyers… flat out! Printed full colour one or two sides and supplied unfolded, our flat flyers are a cost-efficient option for advertising.